Now in its preliminary orbit, the SpaceX Dragon spacecraft will begin its three-day pursuit of the International Space Station. It’s scheduled to arrive Monday, July 2. NASA astronaut Ricky Arnold will be the prime operator of the station’s Canadarm2 robotic arm; he will be backed up by NASA astronaut Drew Feustel. Meanwhile, NASA astronaut Serena Auñón-Chancellor will keep watch over the spacecraft’s systems. 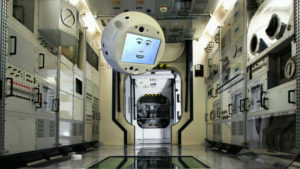 Dragon will be installed on the station’s Harmony module. 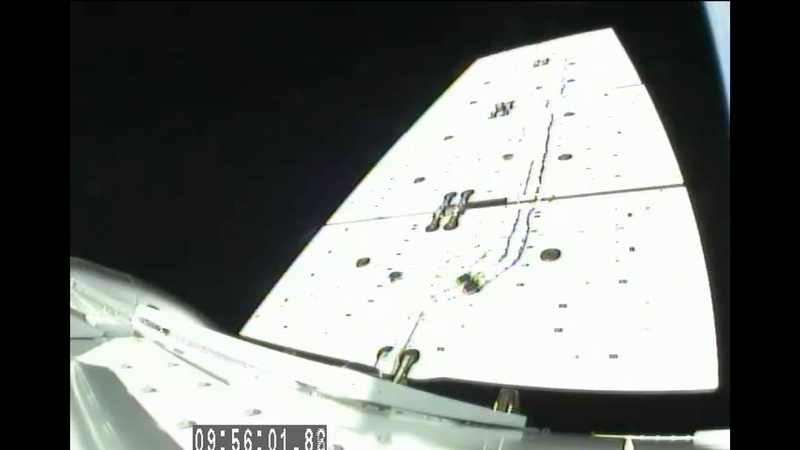 Dragon’s twin solar arrays are deploying now. 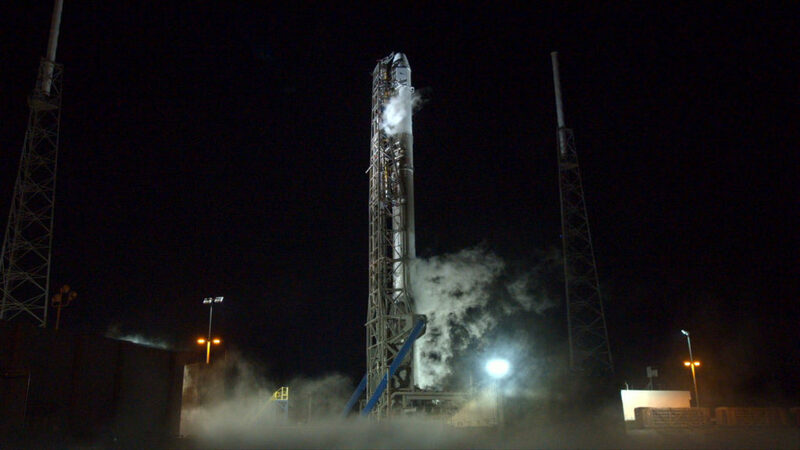 The spacecraft is in orbit after a successful predawn launch aboard a SpaceX Falcon 9 rocket. 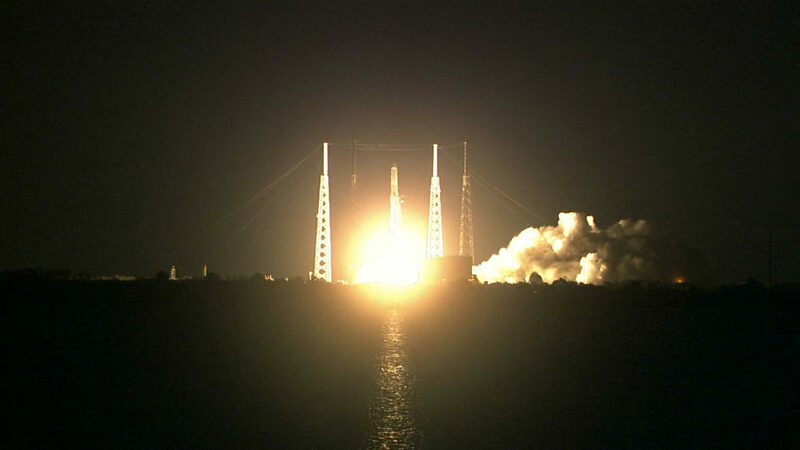 The on-time liftoff took place at 5:42 a.m. EDT from Space Launch Complex 40 at Florida’s Cape Canaveral Air Force Station. The SpaceX Dragon spacecraft is flying on its own in a preliminary orbit after separation from the Falcon 9 rocket’s second stage. Coming up, the Dragon’s power-generating solar arrays will deploy, a process that takes about 8 to 10 minutes. Here are a few early photos from this morning’s liftoff. Liftoff of the SpaceX Falcon 9 rocket and Dragon spacecraft on the company’s 15th commercial resupply mission to the International Space Station for NASA. 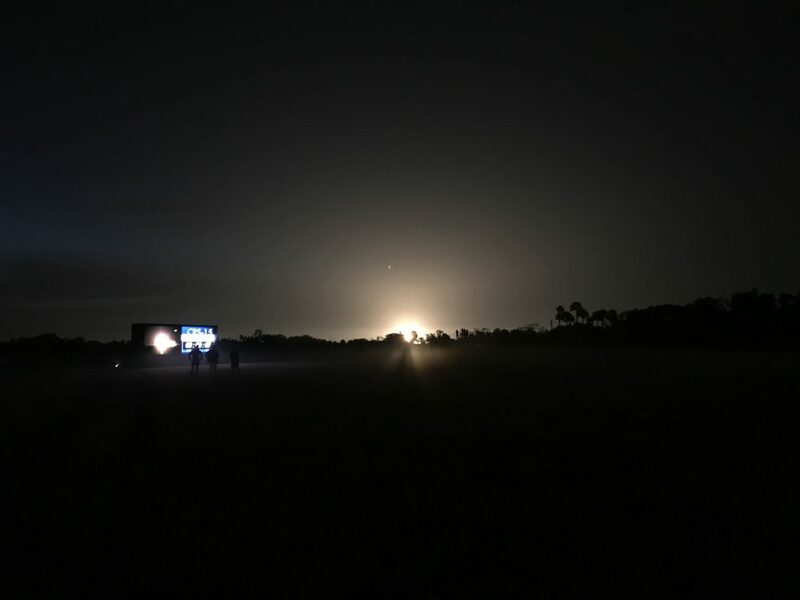 The vehicle is climbing away from Cape Canaveral Air Force Station’s Space Launch Complex 40, lighting the predawn sky over Florida’s Space Coast as it blazes a trail downrange. The vehicle will pass “max Q” about a minute and 18 seconds into the flight. Just over a minute later, the nine Merlin engines powering the rocket’s first stage will shut down and separate from the vehicle, clearing the way for the second stage’s single Merlin engine to ignite and continue the flight. 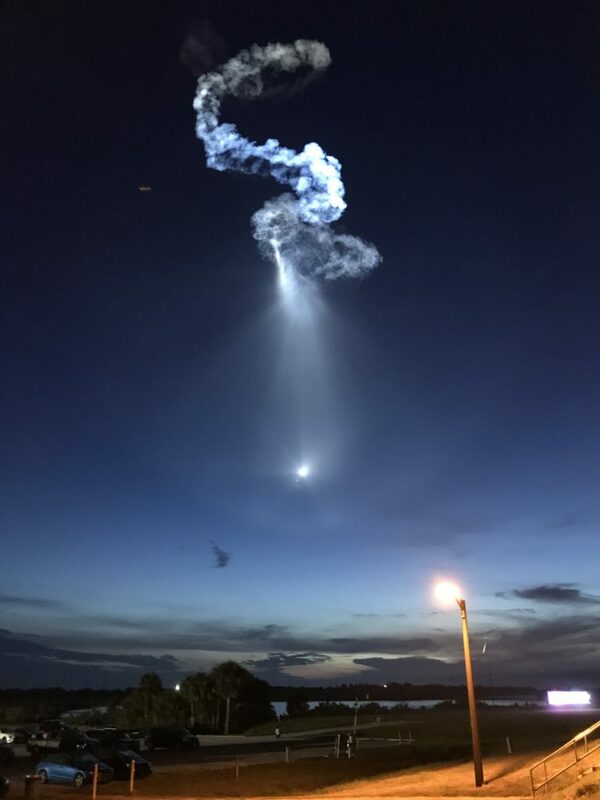 Author Anna HeineyPosted on June 29, 2018 Categories Cargo Resupply (CRS)Leave a comment on Liftoff! T-minus three minutes and counting. Weather is “go.” The strongback support structure has been lowered and the Falcon 9 rocket is awaiting liftoff at 5:42 a.m.
As the final minutes count down toward the 5:42 a.m. liftoff of the SpaceX Falcon 9 rocket and Dragon spacecraft, there are some significant milestones clearing the way toward launch. The Falcon 9’s Merlin engines will be chilled to condition them before they come in contact with cryogenic propellants. The strongback, a gantry-like support structure at Space Launch Complex 40, will lower away from the rocket. Finally, the Eastern Range and the SpaceX launch director each will give a final approval to launch. Author Anna HeineyPosted on June 29, 2018 Categories Cargo Resupply (CRS)Leave a comment on What’s on Board? 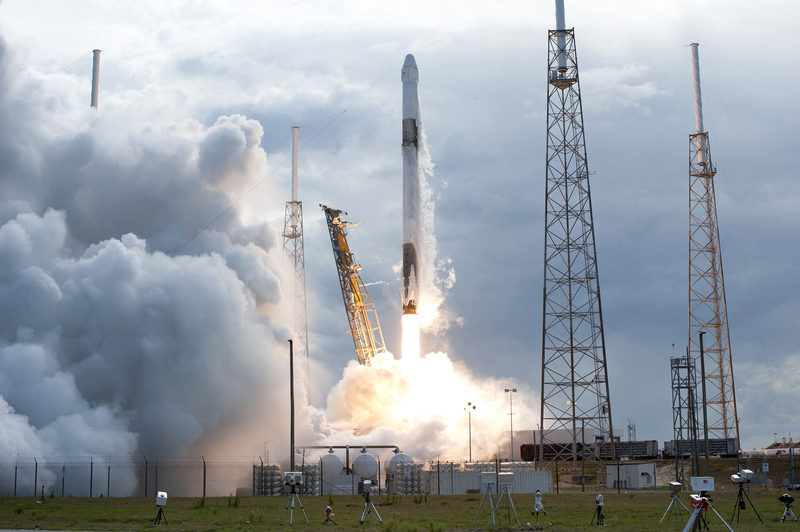 The SpaceX Falcon 9 rocket is a two-stage rocket powered by nine of the company’s Merlin engines on the first stage, and a single Merlin engine on the second stage. These engines run on cryogenic liquid oxygen and a fuel called RP-1, a highly refined kerosene. The rocket is topped by the SpaceX Dragon spacecraft, which provides pressurized and unpressurized “trunk” space for the cargo it’s carrying to the International Space Station. 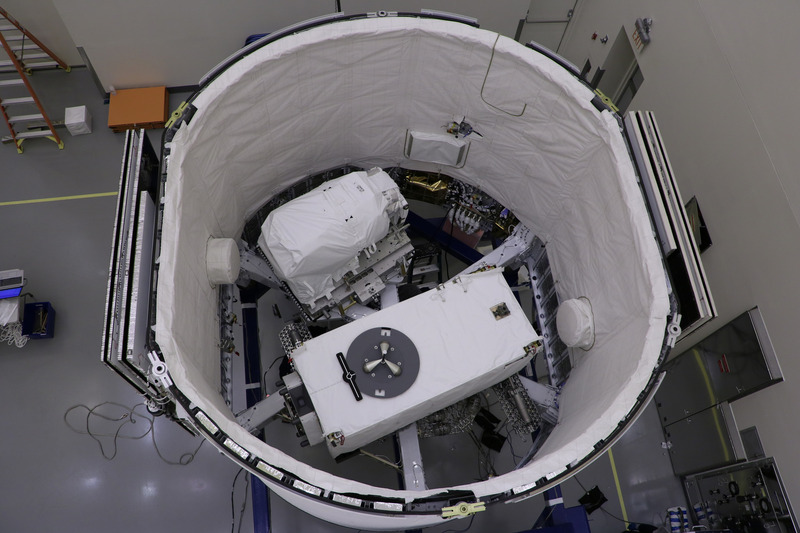 The first stage flying today has been flown before – it was used on the launch of NASA’s Transiting Exoplanet Survey Satellite (TESS) on April 18 of this year. Additionally, the Dragon launching today is making its second trip to the station; it previously flew on SpaceX CRS-9, back in July 2016.